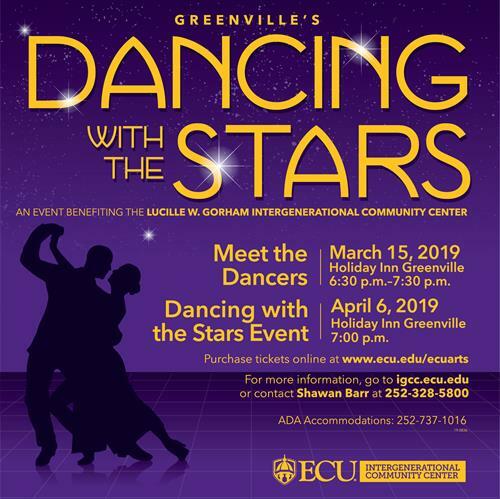 On, April 6, 2019, at the Holiday Inn in Greenville, the Lucille W. Gorham, Inter-Generational Community Center will be holding its annual signature fundraiser event. It is entitled, "Greenville's Dancing with the Stars." All proceeds will go towards benefiting the core programs operated by the Center. We will also have a kickoff event on March 15, 2019...come out and meet the stars...free of charge! $50.00 a person. Sponsorship Opportunities are available as well.